In episode 12, we have a special report from the Edinburgh Festival Fringe. 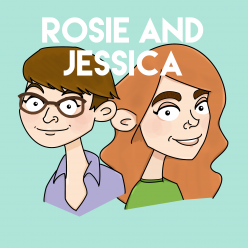 Rosie and Jessica review the shows they saw, interview some friends on the Royal Mile, and have quite a lot of conversations in coffee shops. There’s also discussion of the Olympics, plus Needle and Fed and their song choices of the week. Normal service now resumes! I have nothing profound to say, but I just wanted to mention I’ve spent my day so far listening to five straight Day of Fun podcasts and it was a morning/early afternoon well spent. Request more Tim. Hooray! Five is the recommended daily dose, so you’ve done wonderfully. Tim will be greatly pleased by your feedback, we’ll have to get him back in his recording “studio” (cupboard) soon. R.